Whether you need help with policies or employee handbooks, compliance or orientation training, you can simply download the products you need when you need them. All our products have been created with small businesses in mind. 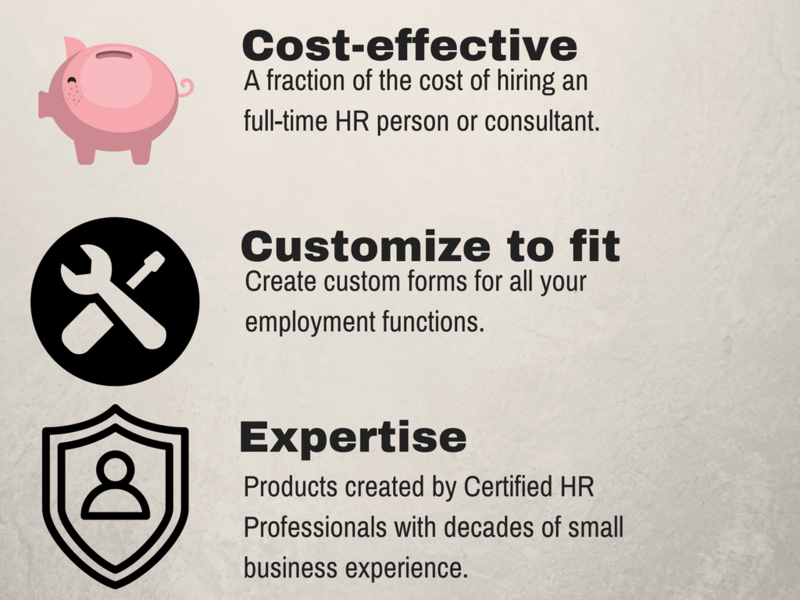 We have simplified many of the HR processes, so it’s easy for your to customize our products to fit your needs. Creating an employee handbook can be overwhelming and expose can you to unnecessary risk. Our handbook will save you time, money and give you peace of mind that your policies are up-to-date with current employment legislation. The Accessibility for Ontarians with Disability Act can be complicated for small businesses to implement. With our easy step-by-step Accessibility Guide you be compliant FAST! 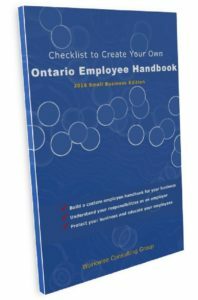 Have all your employees completed the mandatory training required in Ontario? Not sure?